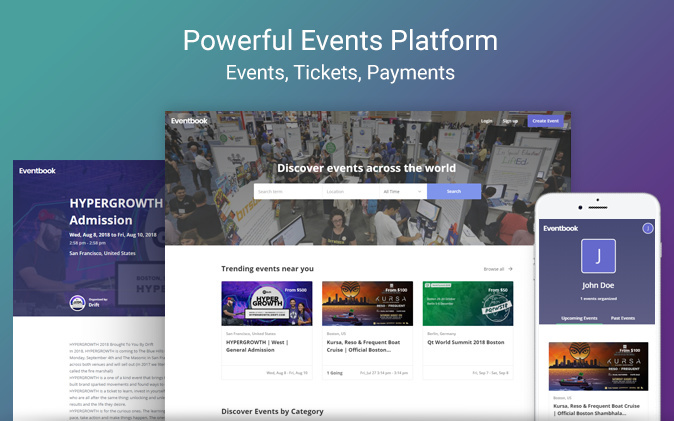 This responsive template is an events marketplace template that helps you create platform like EventBrite for event organizers to list, manage and sell tickets for their events and for people to easily discover events around the world. Easy same-page editing for event organisers. Event organizer profiles with user profiles as fallback. For more information check out this documentation https://docs.zeroqode.com/templates/events-like-eventbrite-template. Hi again! I’ve added a couple of events but I do not see them in the categories. The categories pages are all blank under the header. What do i need to do? seems that @mebeingken has already helped you out with this. Supposedly this was due to Bubble’s breaking change in the way filters work for repeating groups, we’ll update the template to fix this. in fact we have double checked and the issue is that to save the Events correctly we are using API workflows which are not enabled under Hobby or Template plans and can be used only on Personal plans and above. This is a limitation from Bubble unfortunately. So once you upgrade to personal plan or higher this functionality should be live. Thanks for that update @levon. Keith is already on the Professional package and I don’t believe he is experiencing the issue you reference. The issue he described has been resolved, by simply ticking the box to Ignore empty constraints on one of the searches. Oh, I see, Ken, we’ll implement that small fix, but if he was on Hobby plan the issue would persist due to the use of API workflows. I recently purchased the events template and I’m having issues setting up the booking confirmation email to be sent to customers. If you could kindly sent instructions on how this can be done, it will be greatly appreciated. 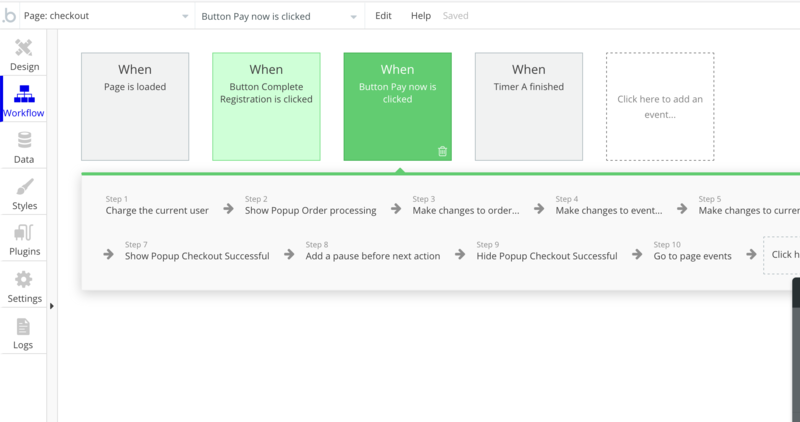 you need to go to check out page, find the “pay now” workflow and then at some point of the action sequence you need to insert a send email action.